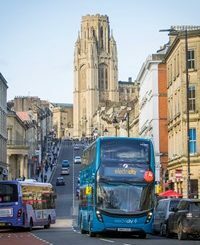 Bristol is now part of the pteg (passenger transport executive group) network after the West of England Authorities joined the group together as an Associate Member. With Bristol and the West of England area on board, pteg’s professional network now serves all eight core cities as well as London, Leicester and Strathclyde. The four West of England Authorities are Bristol City Council; Bath & North East Somerset Council; North Somerset Council; and South Gloucestershire Council. Geoff Inskip, pteg chairman, said: “We are delighted to welcome the West of England Authorities to our professional network. Although pteg policy and direction will continue to be set by the six PTEs and ITAs, we place great value on the contribution that our associate members make to the professional networks that pteg runs. Cllr Tim Kent, executive member for transport, Bristol City Council, said: “Associate membership of pteg gets our region to the top table for transport discussions. It’s important that we have been accepted as a sub-region rather than an individual local authority area. Joint working has already earned the partnership some considerable wins, including the Greater Bristol Bus Network and five major transport schemes including a Bus Rapid Transit for the Greater Bristol area. The new buses, due to enter service at the end of the month, use geo-fencing technology to run on pure electricity in polluted areas Two virtual electric buses have been launched with First in Bristol.